« Does American labor need its own party? [Update 11/19/2018] The Bulletin of the Atomic Scientists published an article debunking these charges. Click on The Russian disinformation attack that poses a biological danger to read it. Somebody’s not telling the truth. An investigative journalist, Dilyana Gaytanzhieva, has uncovered evidence of deadly tests of biological substances in a Pentagon-funded research laboratory in Tbilisi, Georgia. The US Embassy to Tbilisi transports frozen human blood and pathogens as diplomatic cargo for a secret US military program. Internal documents, implicating US diplomats in the transportation of and experimenting on pathogens under diplomatic cover were leaked to me by Georgian insiders. According to these documents, Pentagon scientists have been deployed to the Republic of Georgia and have been given diplomatic immunity to research deadly diseases and biting insects at the Lugar Center – the Pentagon biolaboratory in Georgia’s capital Tbilisi. 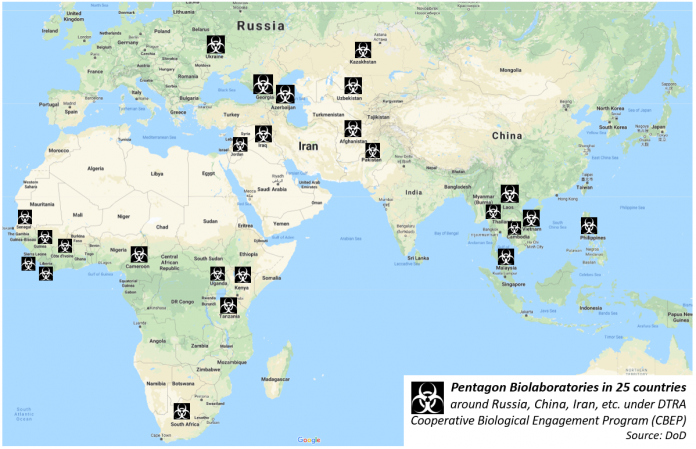 The work at the laboratory is part of a $2.1 billion program of the U.S. Defense Threat Reduction Agency that operates in 25 countries, including the former Soviet republics of Ukraine, Georgia, Azerbaijan, Kazakhstan and Uzbekistan as well as nations in the Middle East, Southeast Asia and Africa. U.S. officials have said the research is aimed at promoting public health, and not on ways to spread disease to crops, animals and people. If that is so, why is the research being done under a secret military program? Germ warfare is a red line no nation should cross. In nuclear warfare or chemical warfare, radioactivity eventually dies down and toxin dissipate, but a new disease can last for centuries. There was a time when I was naive enough to believe that Americans would never develop germ warfare. Communists or fascists might, but we Americans never would, or so I thought. Then Seymour Hersh in 1969 reported how the U.S. military tested deadly diseases on American subjects. President Nixon announced that the United States would renounce biological weapons development. The United States, along with most other nations, signed the Biological Weapons Convention, which went into effect in 1975 and bans development, use or distribution of biological weapons. Neither the U.S. ban or the convention ban research into bio-defense, however. Over the years the U.S. government has accused Iraq, North Korea, Russia and other countries of violating the ban. But evidently it is no longer observing the ban itself. Dilyana Gaytanzhieva, a Bulgarian who reports for Al Mayadeen TV out of Beirut, is a peer of Seymour Hersh as a courageous and thoroughly professional reporter. Read her two reports and watch her video as examples of outstanding journalism. The Pentagon Bio-weapons by Dilyana Gaytanzhieva. U.S. diplomats involved in trafficking of human blood and pathogens for secret military program by Dilyana Gaytanzhieva. Scientists Raise Alarm Over U.S. Bio-Weapons Program by Moon of Alabama. This entry was posted on October 9, 2018 at 11:25 am and is filed under Abuse of Power, War and Peace. You can follow any responses to this entry through the RSS 2.0 feed. You can leave a response, or trackback from your own site.